I think we have just passed the 10,000 level on registrants for the Ship of the Heroes forums. 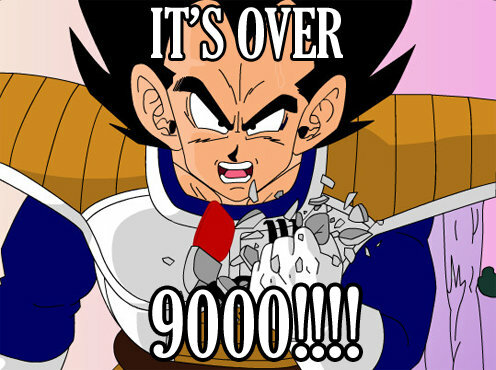 I have a sudden urge to say it's "over 9,000" as an homage to Dragonball Z. Just about 2 years to get to 10K. I can't say what I was expecting, but this is pretty darn good for a group of mostly volunteer game devs making a new MMORPG. It's a pretty exciting moment. I am not to proud to say it. Good job. Now if we could only get these people to come out. I have been following the game since early 2017. Pretty closely at that, I rarely go more than a day or 2 without catching up on posts and clicking my opinion on the home page question (I miss the daily questions, they gave me that extra desire to check in daily so I wouldnt miss one. But obviously there are only so many questions that can be asked). I just dont care for posting usually unless it is something I really want to suggest or get an answer to. And I am sure there are many more like me that will be playing from beta to release, and a very long time after that. Seeing the forum reach 10K gives me lots of hope that even in the early days, we shouldn't have much trouble finding players to team up with. If everyone was posting as much as certain rednames and greennames, we would need more rednames and greennames. Although I am glad this is not a "sit down, shut up and pay" congregation either. Prediction: By Closed Beta this number will grow to 15,000. Caveat is, that nothing is written in Stone, other than God's words. Yay! Grats guys! Here's to the next 10k! I'll come back when you call me - no need to say goodbye." -Regina Spektor, The Call, from the movie Prince Caspian.